One of the rooms in my new apartment that really needs work is the bedroom. I've put off the bedroom over and over for years, and a lot of the furniture is either IKEA or my childhood dresser painted orange. Needless to say it needs some love finally, its about time I pay some attention to the bedroom. I've been spending a lot of time finding inspiration photos and I have an idea of what I want the room to look like. Its just a matter of spending the time to achieve the look now. The biggest thing that needs work in my bedroom is the bed. Right now I have a queen size comfortable bed on a metal bed frame with a bedskirt I bought for super cheap at bed bath and beyond. Below are images of inspiration for what I want the bed to look like. This first photo is my inspiration for a bed frame. 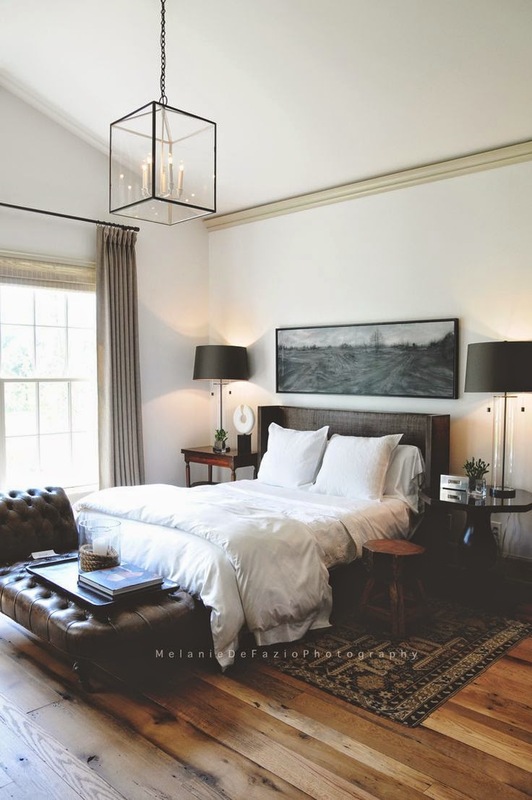 Being a very hands on girl I plan on making this bed myself, just with a few tweaks to fit my style and personality. My biggest problem with the bed frame is where to build it and I either need to buy the tools or rent them for this project. I've already modeled up the bed how I want to build it, and I've found a fabric I want to use to upholster the bed. It just needs to be built, hopefully sometimes this summer. This photo is my inspiration for how I want the bedding to look. Right now I have a big thick comforter on my bed and as much as I love having it to curl up with I think its too bulky for my taste. I'm going to take the route of being a firm believer in compromising and trading in my huge thick comforter for a thin beautiful coverlet, or just some blanket thats much more clean lined and not so bulky. The throw at the end of this bed has kept me up at night because I love it so much. After much research I finally found one similar if not the exact throw. Its on my spreadsheet of stuff to buy but I'd like to build the bed frame before I start accessorizing the bed itself. As for storage I right now have an IKEA dresser, and small bedside table. The other bedside table is my bedside table that I got when my family moved to the states from Canada when I was four. I have not taken care of this side table but for right now I need a table on that side of the bed so its in the room. 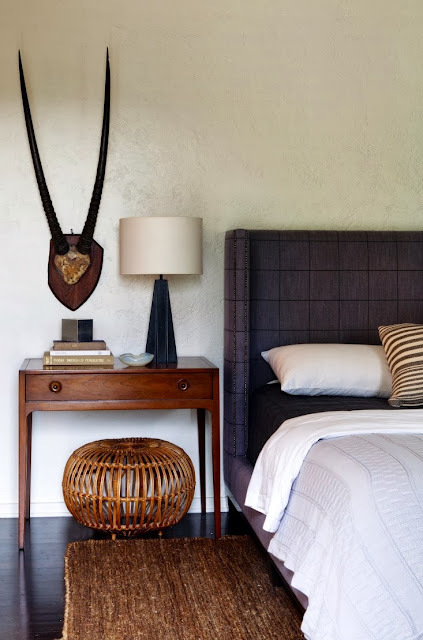 The plan is to eventually have a longer rectangular side table with a small drawer on one side of the bed and a round side table on the other side of the bed. I'm not a huge fan of having furniture match too much so I like the compliment the round table and rectangular side table in similar wood tones play off each other. 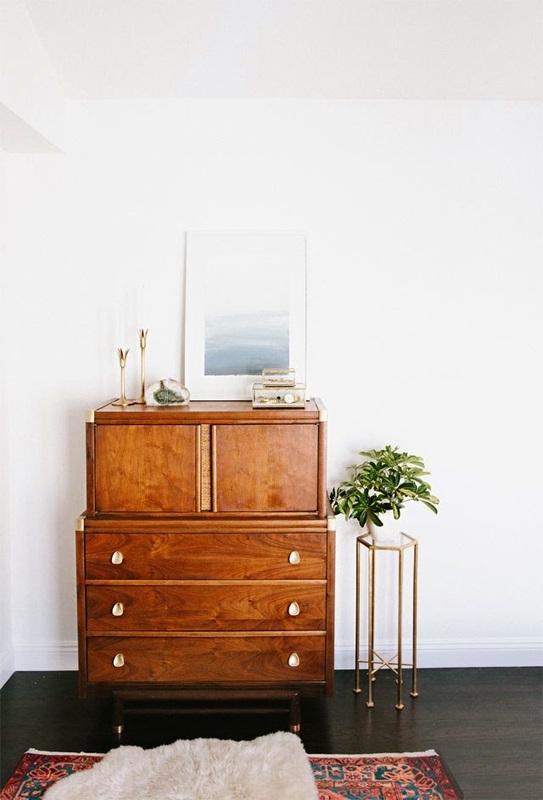 As for the dresser I have big aspirations for the dresser, through my blog reading I was introduced to a chest on chest and my mind has not gone back since. Below is the photo that made me fall in love. I'm not in a serious search for a chest on chest but if I ever come across one when the bank account can afford it I will jump on that. So thats where I'm at with inspiration photos. I've been working on some renderings of the bedroom which I will post once they are done. Of coarse once the bedroom progress starts I'll post about that too.